National Laboratory, and other research networks and computational assets nationwide. Funded by the State of Tennessee Department of Economic and Community Development through a one-time grant (~$2.8M), MCAN is dedicated to development of Tennessee’s knowledge and innovation economy. MCAN provides reliable and cost-effective communications for its members, and the organization plays an active role in development of research partnerships on behalf of its members. 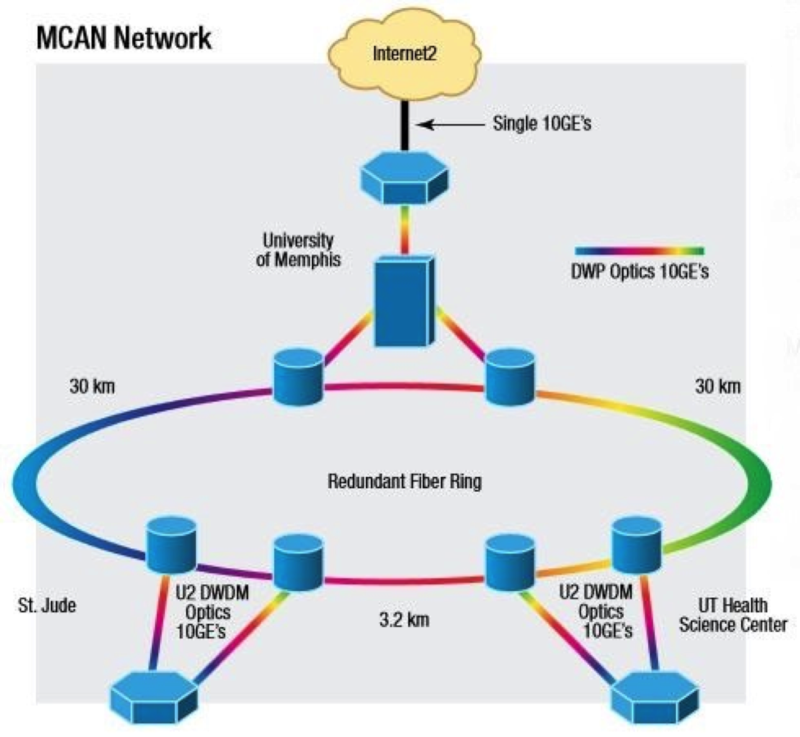 MCAN provides data links at 10 gigabits per second between the researchers and facilities of its local members, including St. Jude Children’s Research Hospital, the University of Memphis, the University of Tennessee Health Science Center, Oak Ridge National Laboratory, and 250+ academic research institutions throughout the country and abroad via the national Internet2 research network infrastructure. The investment made by the state of Tennessee was essential to providing the high bandwidth research infrastructure which supports mutual collaboration on existing projects and future grant opportunities; recruitment of research-focused faculty who may bring grants with them as well as secure additional grant funds; the extension of both grant-funded and other collaboration with national and international organizations; and support for the university partners’ educational mission by linking together sister campuses’ online classrooms. As a result of this investment, Memphis has become a hub on the national Internet2 Advanced Level 1 network – the only such hub in West Tennessee. Serving as a hub ensures redundant paths for Internet2 access to reduce the possibility of network downtime, and enhances the options for the institutions to take advantage of additional I2 service offerings, leveraging the state’s investment, particularly for the university partners. The MCAN network infrastructure has played a key role in facilitating research collaborations. Examples include: transmission of whole genome DNA sequence data from Washington University in St. Louis to St. Jude in support of the St. Jude/Washington University Pediatric Cancer Genome Project; transmission of whole genome data to national (dbGAP) and international (EBI) repositories; research collaborations with Oak Ridge National Laboratory in the areas of imaging, structural biology and computational chemistry research; research collaboration among MCAN members (St. Jude, UTHSC, U of M); and research collaboration with supercomputing facilities at the Arkansas High Performance Computing Center (AHPCC). 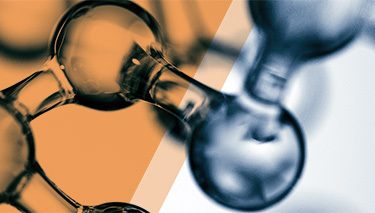 MCAN has accomplished its initial goals of connecting the major research organizations in West Tennessee and facilitating research collaboration and presently serves as a key component of West Tennessee’s research infrastructure. Future goals include increasing the bandwidth to 100 Gbs, exploring the use of Internet2’s Net+ offerings (cloud services, applications, storage, etc.) and expanding membership to broaden the community with access to this powerful research tool.